Posted on October 30, 2018 at 8:46 pm. Winter is coming, and that means it’s time to think about cold-weather care for the exterior of your home. 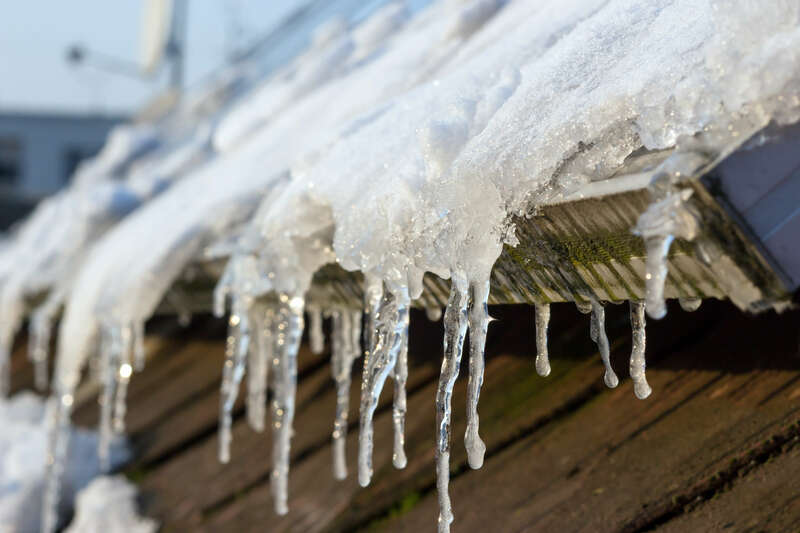 Our team of Terre Haute roofing contractors has seen their fair share of damage to roofs and siding from winter’s snow and ice, so we’ve put together a few suggestions for how to keep your home protected. Your first line of defense against winter weather wreaking havoc on your roof is to make sure your gutters are clear. Snow is one of the top causes of roof leaks. After snow and ice accumulates on your roof, the melting water needs a place to drain. Make sure gutters are empty, especially after trees shed their leaves in autumn. Don’t forget to trim back any nearby overhanging branches as winter approaches, and be sure that your downspout openings are clear of any debris as well. One of the biggest winter issues our roofing contractors sees is snow and ice that damages roof shingles when seals aren’t tight. When there’s even a tiny amount of room for water to get beneath individual shingles, that water freezes and expands in cold temperatures, loosening shingles and causing lasting damage. If all of the seals along your roof aren’t tight, melting snow and ice can also leak beneath your roof into your attic, creating water damage and mold. Warm air from your attic heats snow and ice on your roof from below. This snow and ice melts and then refreezes, creating ice dams that contribute to roof damage. Help prevent this issue by giving some attention to the inside of your home, and add insulation to your attic if necessary. How can you tell if your attic is well-insulated? If snow blankets your roof in a single layer and melts at the same rate as the rest of the snow you see outside, your insulation is most likely in good shape. If snow melts off your roof in uneven patches while leaving a white wonderland everywhere else, it’s time to talk about insulating your attic. Knowing how to keep your house warm in winter depends on knowing that the insulation was installed properly. By following these tips from our team of Terre Haute roofing contractors, you can help winterize your roof and protect your home from damage by snow and ice. Wondering about other common roofing problems? Fall is the perfect time for an inspection. Need help with this season’s winterization? Our team is here to help get your residential or commercial roof in great shape for winter weather. Give us a call for a free estimate.